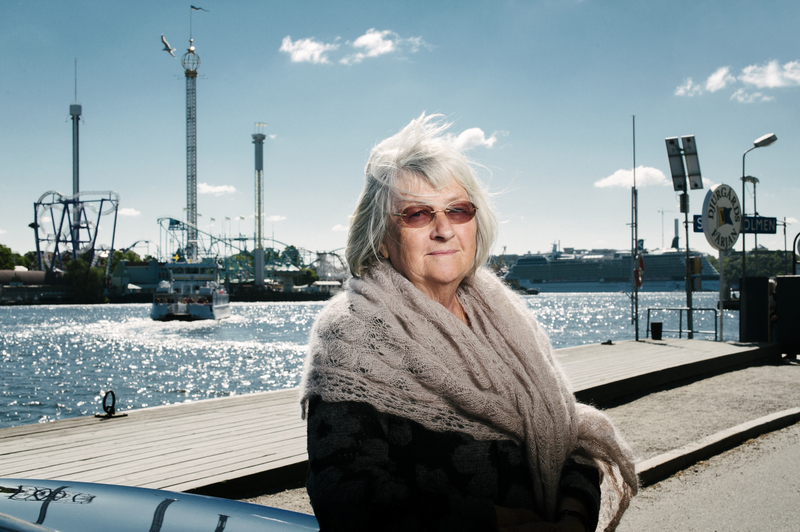 Meet Barbro Lindgren at the Göteborg Book Fair in Gothenburg. On Thursday, September 25, she participates in a seminar about imagination and the conditions of freedom and writing with jury member Maria Lassén-Seger, critic of children’s literature and librarian at Åbo Academy University. She will also participate in a number of short public talks on Ung scen (Young Stage) and will visit other exhibitor’s stands at the fair in the program for Thursday. 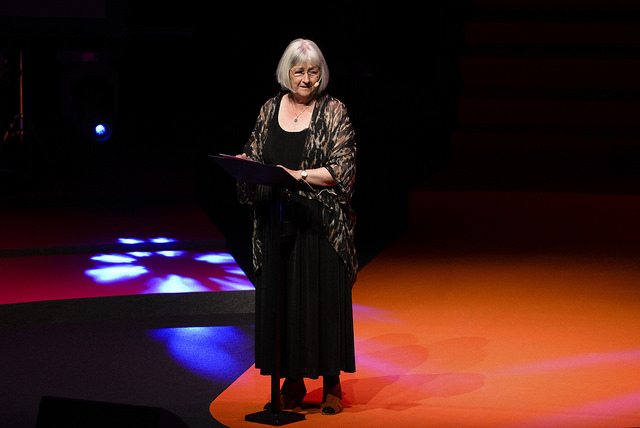 The laureate’s participation is part of the Swedish Arts Council’s commitment to a program with focus on children’s and young adult literature and reading promotion. Under the theme Children’s Right to Culture workshops, exhibitions and lectures are arranged at Ung scen (Young Stage) in Hall A at the book fair. 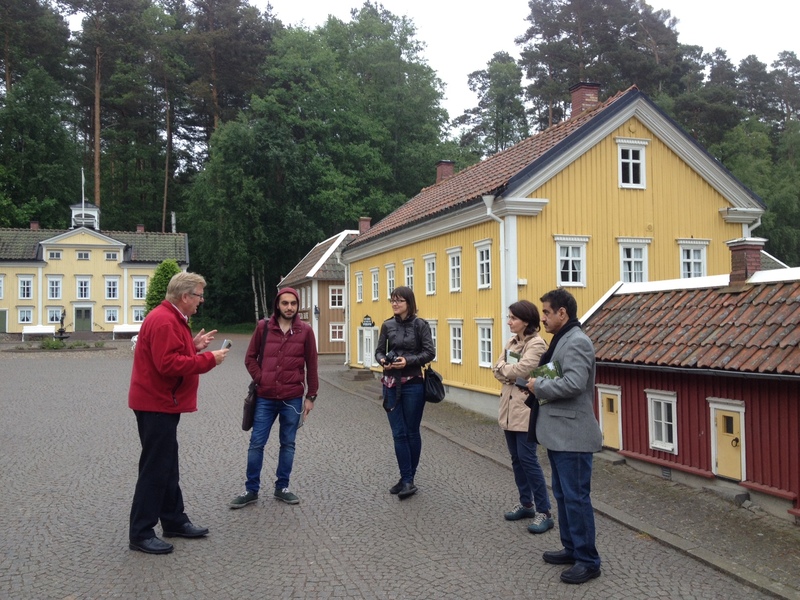 A detailed program for Barbro Lindgren’s participation will be published on the ALMA web in September. Sweden and the Swedes are proud of their great writer of children’s books; Astrid Lindgren. Astrid Lindgren died in 2002. To honour her memory, the Swedish government founded an international award in her name, the Astrid Lindgren Memorial Award. 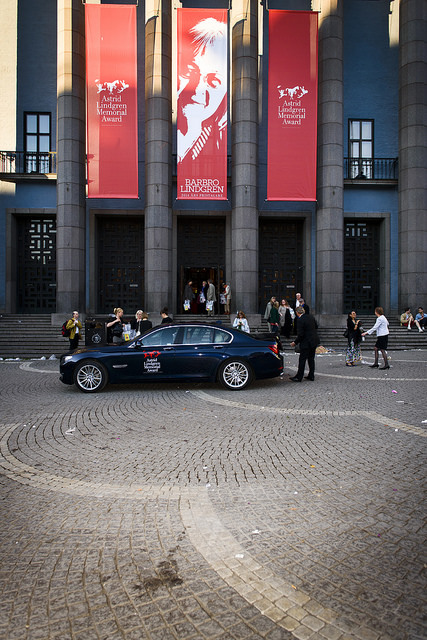 The award is 5 million SEK, making it the largest international children’s literature award in the world. It has been awarded to writers of different countries of the world over the past twelve years, without going to any Swedish writer, making it the subject of criticism by the Swedes. 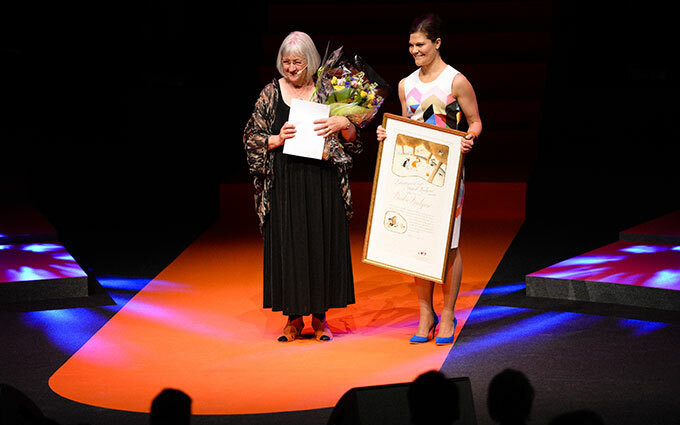 They wondered how we have been giving this award that bears the name of Astrid Lindgren to so many writers, without awarding a single Swedish writer, despite the fact that children’s literature in Sweden is booming a host of wonderful writers. 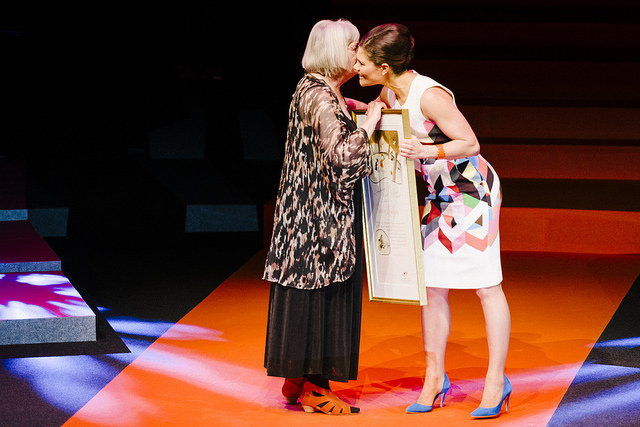 This year, things were different; the award went to Swedish children’s writer Barbro Lindgren. I was among four foreign journalists, lucky enough to interview the winner Barbro Lindgren a few hours before the ceremony. 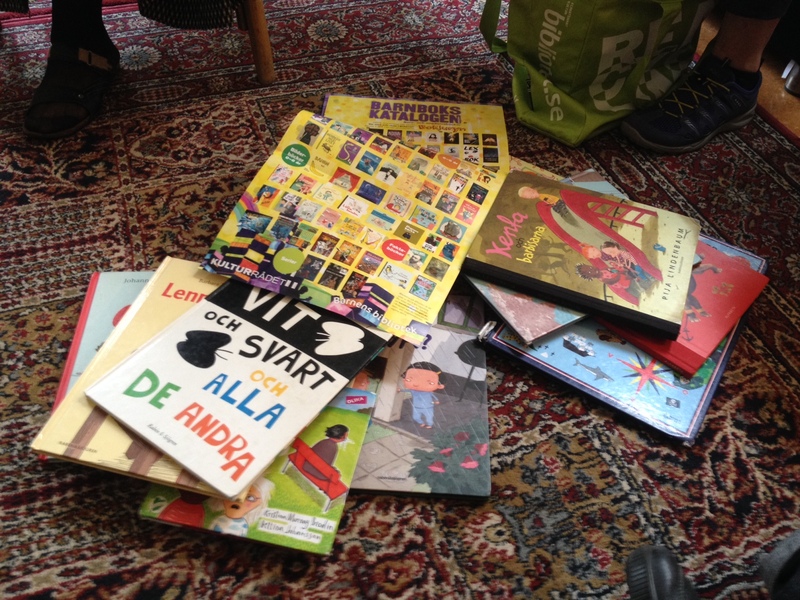 The best thing about Sweden, the third largest European country, and the least populous, around 9.5 million people on its territory, at a rate of 23 people per square kilometer, is the great interest in children’s literature. This might cause frustration when we compare it to Arab countries in general and to Saudi Arabia in particular. My country has the human competencies and financial resources to accomplish great projects for children and young people, especially as 60% of our total population is children and young people. It is striking that the public libraries of children in Sweden do not contain only paper and electronic books as we might assume in the Arab world. It is an amazing world, where the child, of any age category, might spend a full day without getting bored. In this library, for example, there are several sections for various age groups, from zero to two years, three to six years, seven to nine years, and ten to thirteen years. Each section is designed taking into account the different conditions and needs of children; safety, interests .. etc. You might see a toddler, accompanied by his father or his mother, crawling around the painted books, just to be familiar with books from early childhood. All kinds of activities; playing, painting and story-telling are being practiced in the library; the children’s second home ! Astrid Lindgren grew up in a typical Swedish small house at a tiny village called Vimmerby, three hundred and fifty kilometers south of Stockholm. 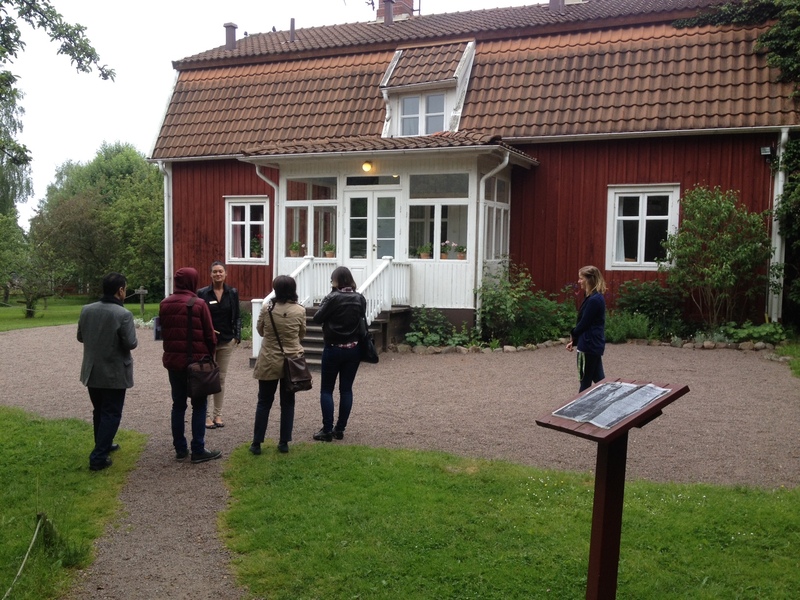 The Swedish Government made the house where Astrid was born a museum open to visitors all the year round. “Astrid Lindgren’s World” includes the author’s childhood home as well as a recently-built exhibition hall. Astrid Lindgren´s World is a unique theatre-park. Here you can meet Pippi, Emil, and all the other characters. It’s Sweden’s largest children’s theatre-park, all based on Astrid Lindgren’s texts. About half a million tourists visit Astrid Lindgren’s World every year. Even though, it might not be compared to the American Disney Land, but it has a unique flavor of Sweden, which is far much better than reproducing the culture of others and imitating their ideas. 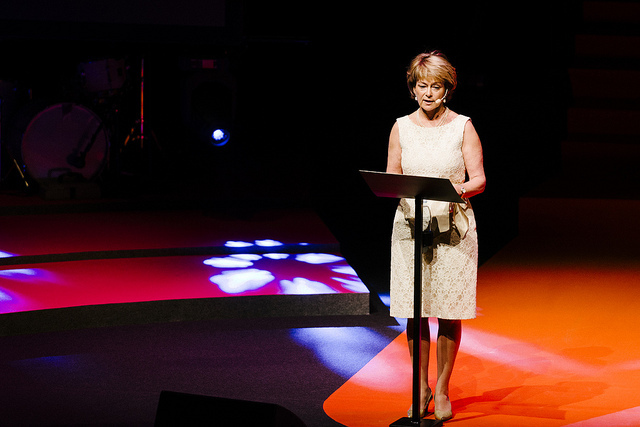 This presentation of Barbro Lindgren and her works was broadcast for the first time at the Award ceremony at the Stockholms Concert Hall on June 2, 2014. Novela Gráfica is the successor of SIMA (2008 ) , the group’s debut album. It will be jointly published by Noseso Records and Moebius as a book/object / cd in a limited edition that includes works by 11 international artists who illustrated comics as they where videos of the 11 songs on the album. The edition features Laura Varsky graphic design and art cover and interiors work of Liliana Porter. The album / graphic object will be manufactured at the end of July and will be exclusive presale on a platform Ideame , cheaper than it will have on live concerts and distribution points promo price. 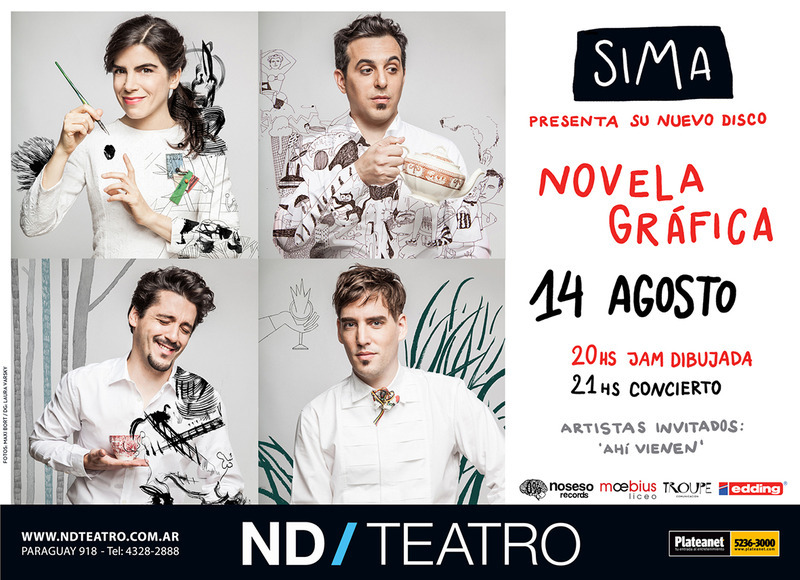 The backers that accomplish the advance purchase will participate in a private event where they will receive their copy of Novela Grafica, and according the combo that you pick to collaborate you could get tickets with special locations for the official presentation of the album of August 14 th at ND / Ateneo. In the foyer of this beautiful theater, originals and reproductions of cover art will be exhibited , PLUS some of the authors and guest artists will participate in a illustration jam with live sonic improvisations by Sergio Merce, on his microtonal sax. 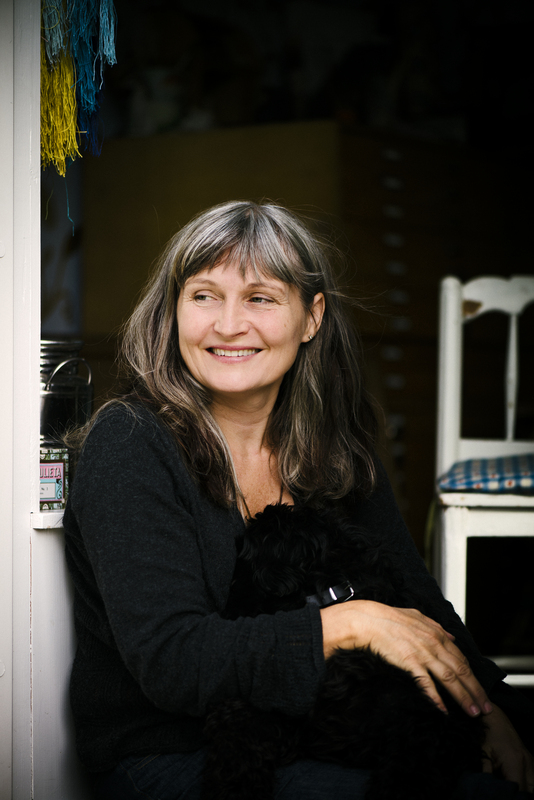 The Swedish Arts Council has appointed four new members of the jury for the Astrid Lindgren Memorial Award. 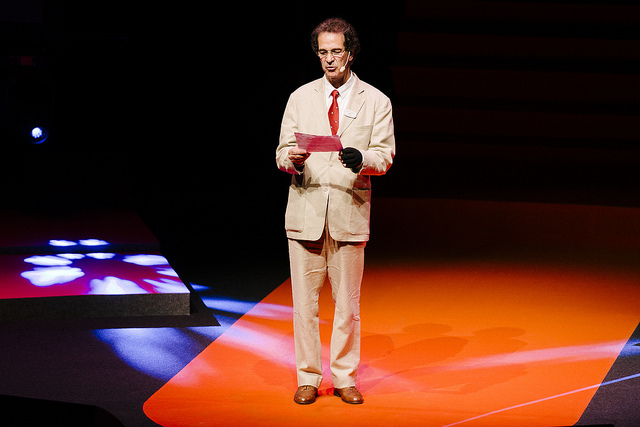 The new chairman from July 1 is Boel Westin, who has been Professor of Literature at Stockholm University since 1998, with a special focus on literature for children and young adults. 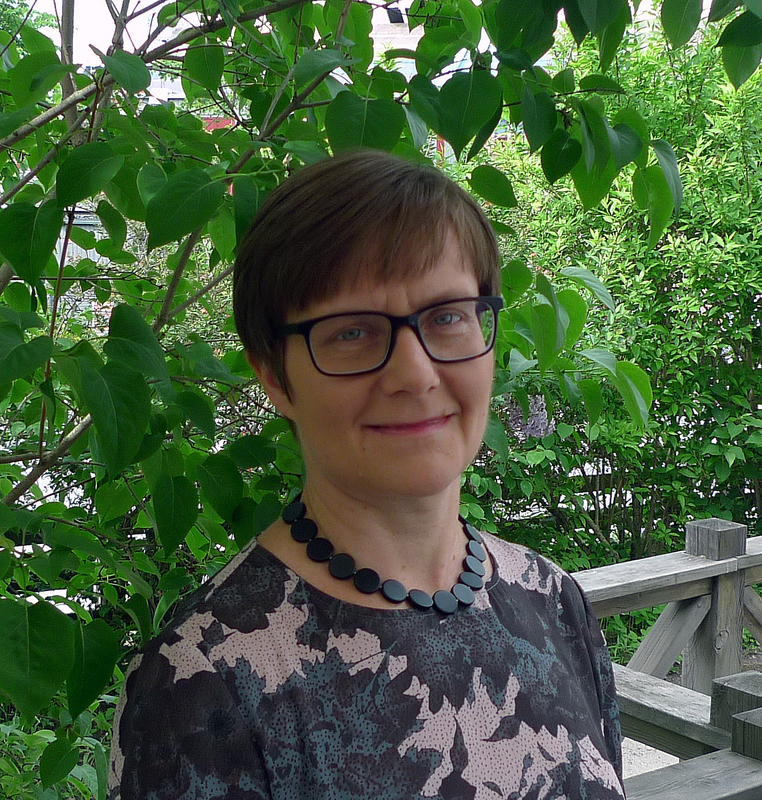 She is Chief Editor of A History of Swedish Children´s Literature which is due to be published next year and internationally well-known for her biography on Tove Jansson. 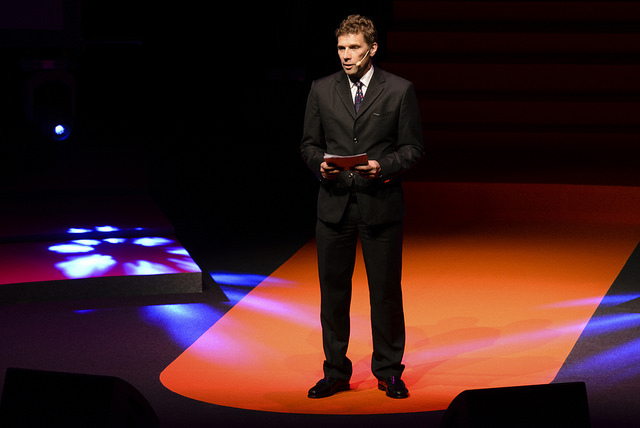 – It’s an honour and an interesting task that I’m really looking forward to, says Boel Westin. The award has an important place in international children’s literature and it will be exciting to discuss all the nominees with my new colleagues. The other new jury members are author and illustrator Anna Höglund, author Katarina Kieri and political science graduate Johan Palmberg, who represents Astrid Lindgren’s family. Previous chairman Larry Lempert will remain on the jury as an ordinary member for one year, while the others have been appointed for a period of four years. Anna Höglund and Katarina Kieri have both won multiple awards for their books. 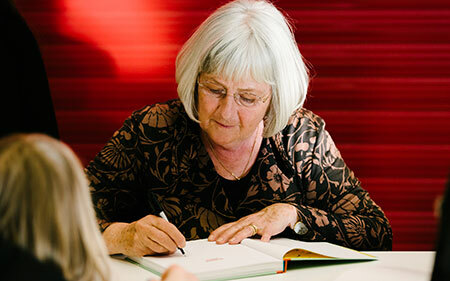 Anna Höglund, who illustrates other people’s books as well as her own, most recently won the Snowball award for best Swedish picture book for Om detta talar man endast med kaniner (You only talk about this with rabbits) and has previously received prizes including the German Children’s Literature Award, the August Prize and the Elsa Beskow Plaque. Katarina Kieri has published novels, poetry collections and ten books for children and young adults. 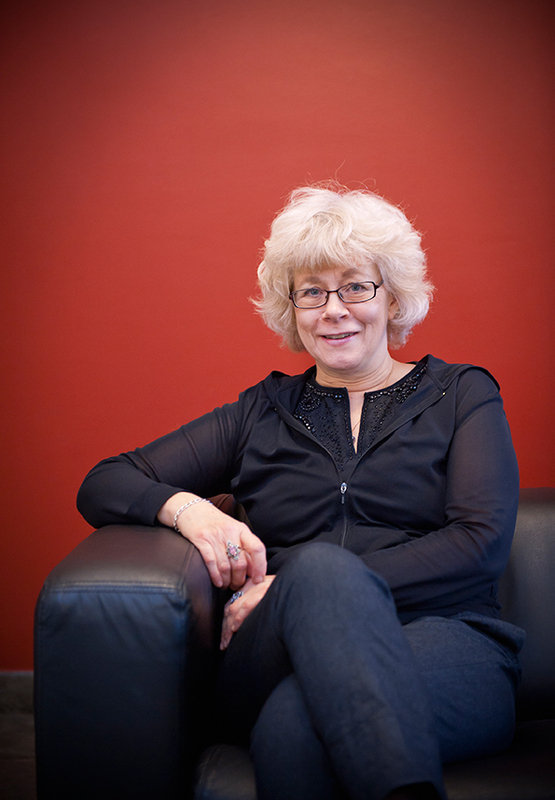 Her awards include the August Prize, Tidningen Vi’s Literature Prize and the Astrid Lindgren Prize. Her latest children’s book Månkan och jag har en hemlighet (Månkan and I have a secret), which came out earlier this year, is a co-operation with illustrator Emma Virke. 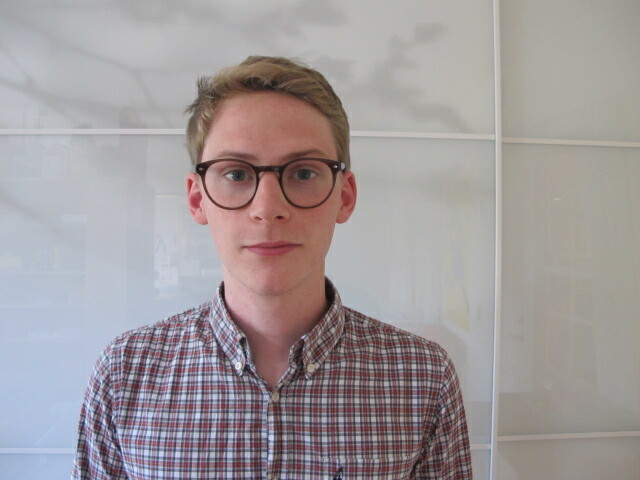 Johan Palmberg recently moved back to Sweden after a year in London and, like his predecessor Annika Lindgren, works at Saltkråkan AB on copyright issues concerning the works of Astrid Lindgren. – The Astrid Lindgren Memorial Award has a jury whose expertise is both broad and deep, comments Staffan Forssell, Director General of the Swedish Arts Council. Like their predecessors, the new members possess both knowledge and integrity, while the fact that Larry Lempert is staying on brings continuity to the work of the jury. The new jury members replace Mats Berggren, Ulf Boëthius, Ulla Rhedin and Annika Lindgren. The new jury will meet for the first time in August and will announce the nominees for the 2015 award at the Frankfurt Book Fair in October. Anna Höglund. Photo: Stefan Tell. Lilla Piratförlaget. 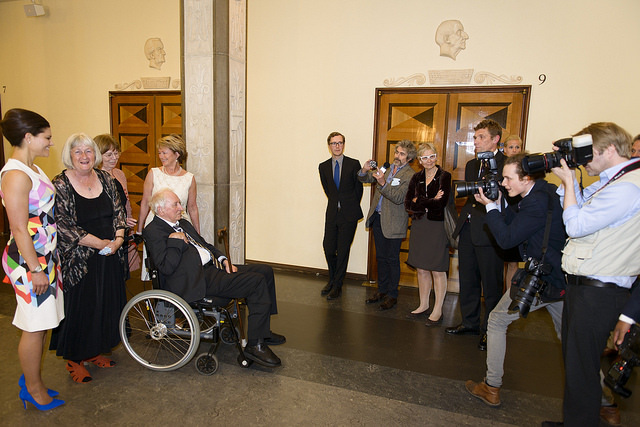 Get behind the scenes of the announcement of this year’s laureate. The announcement took place at a press conference at the National Library of Sweden in Stockholm on March 25 and was streamed live to the international Bologna Children’s Book Fair, Italy. The video was broadcast for the first time a the Award Ceremony on June 2, 2014. Barbro Lindgren and Crown Princess Victoria. 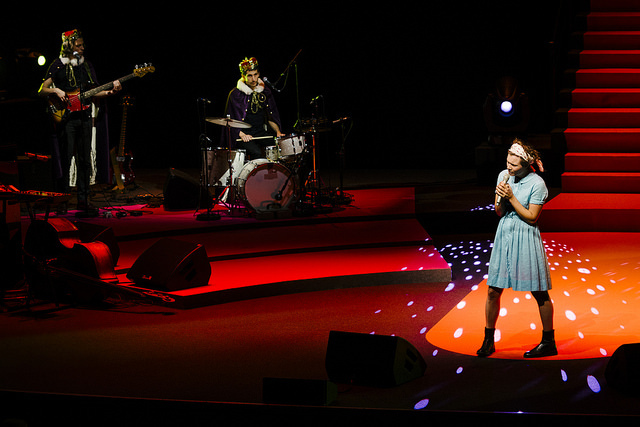 Edda Magnason and her band. Welcome address by Staffan Forssell, Director General at the Swedish Arts Council. The Lindgren Brothers with Amanda Bergman. Minister for Culture, Lena Adelsohn Liljeroth. The Lindgren Brothers with Ebbot Lundberg. Jury Chairman Larry Lempert reading the jury citation. Photo moment after the ceremony. 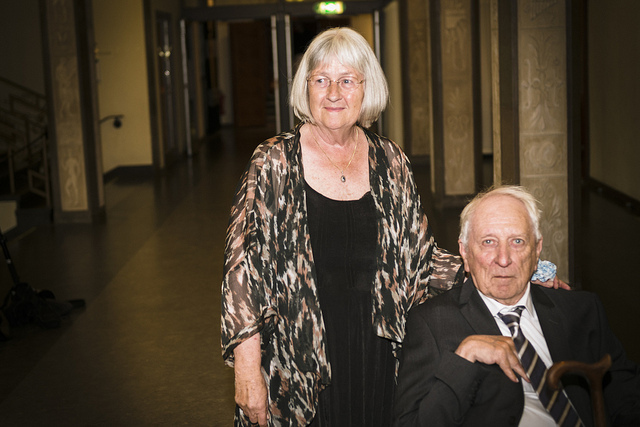 Barbro Lindgren and Tomas Tranströmer. 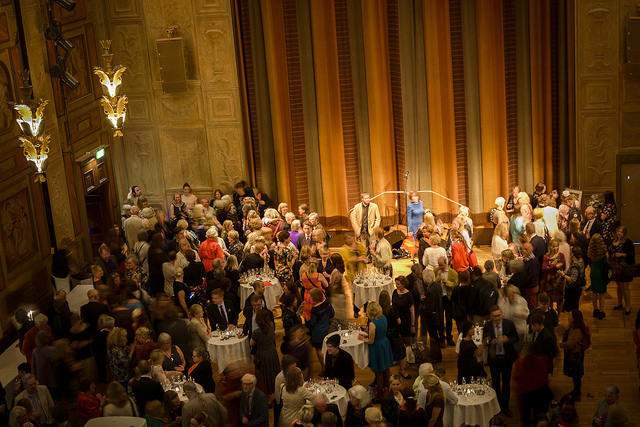 A toast for Barbro Lindgren at the Grünewald Hall. Time to leave the Concert Hall. 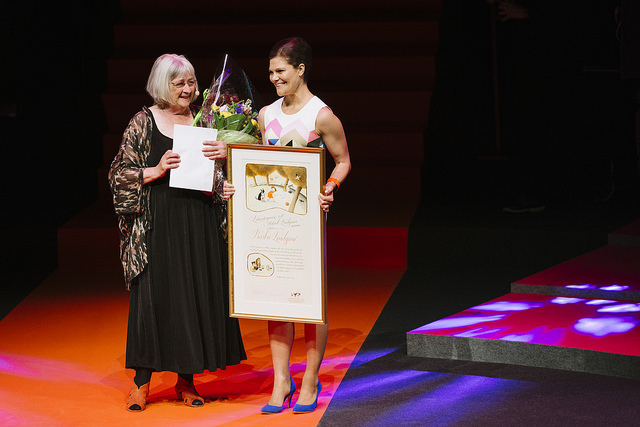 First of all, I would like to say thank you very much for the lovely award, which is especially fun to receive because it was established in memory of Astrid Lindgren! I am also very happy to have heard from so many people saying that they are happy for me, because it must be fairly common for people to get cross when someone else gets an award, and feel like it’s unfair. Standing here and looking out at everyone who is here now, I almost feel like a matchmaking service, because I’ve written about so many of you, and you in turn have friends and family who have read the books – not to mention everyone who has illustrated the books and dramatized them, or worked on them in other ways. It is a marvelous feeling to know that everyone here is connected in some way, to me and to each other. Of course Astrid is a big part of why I finally became a writer. It’s true that I started writing very early on, but even I could see then that my writing wasn’t very good. So I started to paint and draw more instead. I got good at that a little faster, so after secondary school I went to Konstfack to study art. After I graduated from Konstfack, though, I couldn’t help feeling it was a bit of a shame that nothing had ever come of my writing. So I wrote a few chapters about my childhood, although I changed the main character to a little boy. I couldn’t bring myself to write a whole book; I thought there was no point, since it might just get turned down anyway. I sent what I had written to Astrid. At that time she ran the children’s division at the publishing house of Rabén & Sjögren. I knew that, because many years earlier I had sent them a few little stories, one of which bore a suspicious resemblance to Bambi. Those got returned, of course, with some encouraging words from Astrid. She wrote that all authors have their first manuscripts refused, and it was no reason to get discouraged! And indeed I didn’t. I thought just getting a letter was fantastic. And this letter was from Astrid, and it had wax seals! That letter is not the one I want to talk about, though. I want to talk about the letter I got after I wrote those few chapters about my childhood. Astrid wrote back to me with a long reply, in which she went into great detail about how you actually write a book. One thing she said was that I shouldn’t have so many main characters. Two or three was plenty. And for the first time in my life I pulled myself together and did what she said. So you might say that her letter became my university. I sat that summer in the Haga Park in Stockholm and wrote. I was expecting my first baby and I had plenty of free time. If it was a boy, we thought we would name him Mathias, so I named my main character Mathias too. Astrid accepted what I had written and she asked if I wanted to illustrate the book too. I did. And I drew Mathias the way I hoped he would look–like his father–assuming he turned out to be a boy, that is. And then when he came out, he looked just the way I had drawn him! That was my first book, Mattias’ summer, and after it was published, I worked with one brilliant artist after another, and a large part of this award belongs to them, especially since some of the books hardly have any words at all…Besides Eva Eriksson, whom I worked with the most, there were Olof Landström, Charlotte Ramel, Anna-Clara Tidholm, Madeleine Pyk, Pija Lindenbaum, Magnus Bard, Cecilia Torudd, Anna Höglund, my sister Katti Olausson Säll, Dan Johnsson, Fibben Hald, Sven Nordqvist, Gunna Grähs, Eva Lindström and Camilla Engman. Thank you all for wanting to work with me! Everyone at the publishing house kept on encouraging me. When Astrid left, Marianne Eriksson took over – she had gotten quite a thorough training by that point and was already an expert on children’s books! Eventually we started the publishing firm of Eriksson & Lindgren together, though if truth be told, Marianne did all the work. This business of the money is nice, too! Although Astrid would have thought it was far too much for one person – and indeed it is! Anyone might think so, even if you’re not from Småland like she was, where everyone is so thrifty! But Astrid knows me – she knows I’ll share it. That’s the most fun thing you can do with money, you know. Pippi Longstocking was published when I was in elementary school. All my schoolmates were captivated by it. They talked about it all the time. But I thought the title was so ridiculous that I decided not to read it! So I didn’t read it until I was a grownup, and I was surprised at how good it was! Since we have a real princess here with us today, I have to tell you that when I was a child, I collected royal people. I clipped them out of the papers and pasted them into a notebook. My very best ones, of course, were the family at the Haga Palace – all the little princesses, and their brother, Victoria’s father, Carl Gustaf. He was such a cutie! But I thought Princess Sibylla was the most beautiful of all and I collected her pictures the most, especially when she wore her black veil after Gustaf Adolf died. When Gustaf V turned 92, I decided to call on him and give him a present: a portrait and a poem. I talked my friend Birgitta into coming with me, and we rode our bicycles out to Drottningholm. 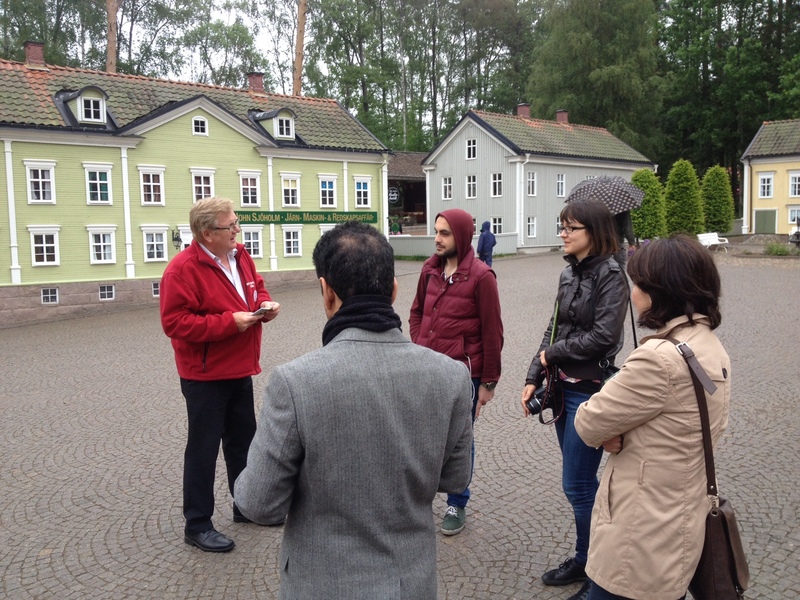 Chamberlain Bengtsson greeted us at the palace. I recognized him from the press coverage of the royal family, and I handed my present over to him. The King himself was resting, unfortunately, and couldn’t receive guests, but we did get to see the door to the room where he was lying down. Just the idea that there was a king behind that door was such a heady thought! What I do sometimes regret is that I don’t have that portrait of the King anymore. I had copied a picture in Vecko-Journalen, the weekly magazine, where he was sitting bent over his writing desk. And I believe that in my picture he must have looked exactly like a little monkey, because when my grandmother caught a glimpse of it before it went into the envelope, she went into a fit of laughter, and she couldn’t explain what was so funny. I, however, thought it was a striking likeness. the sun is on the rise. I thought I would finish my little speech by telling you about a time I visited Astrid. It was on her name day, November 27, 1997. She was talking about the days when her children were still small. Lasse was probably about eight years old and Karin was still tiny. Astrid was carrying her through the apartment on Vulcanusgatan where they lived at the time. “My little Karin,” she said. – Barbro Lindgren is a brave and innovative author. She gives her readers courage and is not afraid to describe the world as it really is. Loneliness, setbacks, and even death are all part of life. Lindgren does not try to protect children; instead, her honesty, humor and openness strengthen children to think and talk about difficult things for themselves. – I am very happy to have heard from so many people saying that they are happy for me, because it must be fairly common for people to get cross and feel it’s unfair when someone else gets an award, Barbro Lindgren said in her acceptance speech. – Astrid wrote back to me with a long reply, in which she went into great detail about how you actually write a book. One thing she said was that I shouldn’t have so many main characters. Two or three was plenty. 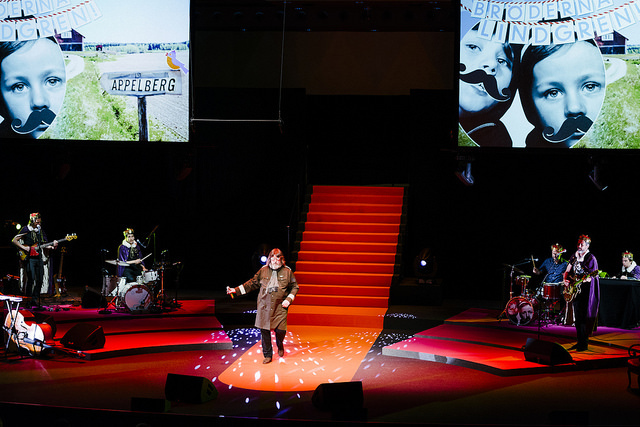 Barbro Lindgren’s sons, Mathias and Andreas, together the award-winning songwriting duo Bröderna Lindgren, took the stage to perform Superhjälten (The Superhero) with Amanda Bergman and En flugas väg (The fly’s progress) with Ebbot Lundberg. 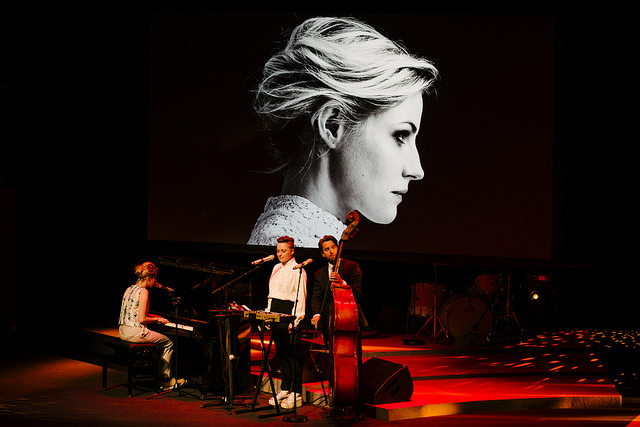 Edda Magnason and band performed material from Magnason’s upcoming album and a song from the film Monica Z. 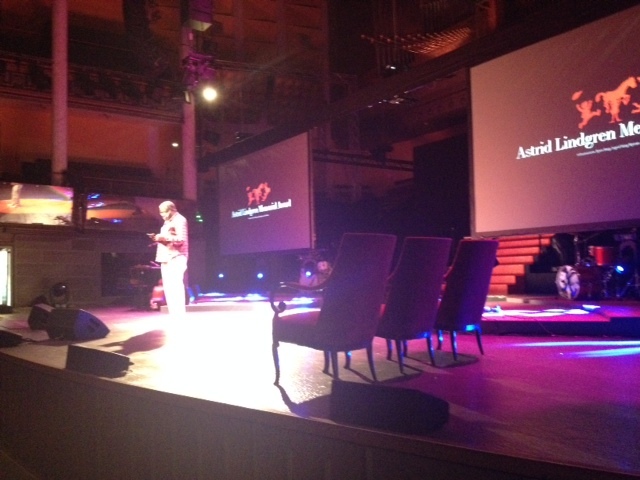 Actor Lamine Dieng was master of ceremonies.